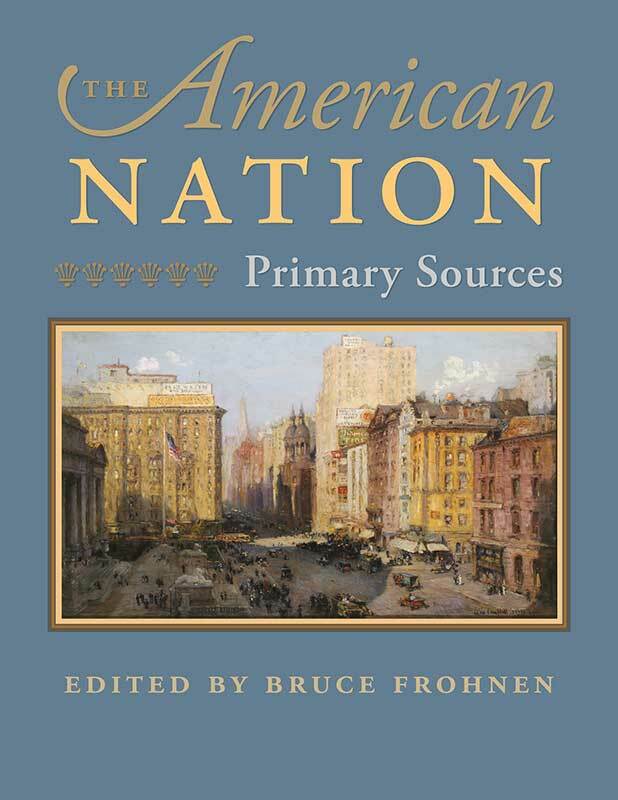 The American Nation: Primary Sources resumes the narrative begun in its companion volume, The American Republic, which covered the first eight decades of U.S. history, ending at the onset of the Civil War. The American Nation continues the story through America’s entrance into World War II. The American Nation makes available, in one volume, many of the most crucial documents necessary for understanding the variety of policies and viewpoints driving American public life during an important, substantive part of American history. The primary sources in The American Nation are relevant to the Civil War, Reconstruction, the rise of a national capitalist system and culture, the waves of reform-minded thought and policy that moved the nation toward formation of the national administrative and welfare states, and America’s emergence as a major power on the world stage. This period was a watershed in the history of the nation—the time of establishing and consolidating national power and laying the foundations of a national government committed to promoting the material well-being of Americans. It was an era that witnessed the development of the nation-state and the establishment of the New Deal regime, which set the stage for the radical social movements of the 1960s and beyond. Some of the primary documents include the Emancipation Proclamation, the Freedmen’s Bureau Bill, the Sherman Antitrust Act, and the Monroe Doctrine. The authors featured include Franklin Delano Roosevelt, Jefferson Davis, Robert LaFollette, Eugene Debs, Jane Addams, William Graham Sumner, Elizabeth Cady Stanton, and Booker T. Washington, among many others. Bruce Frohnen is Associate Professor of Law at Ohio Northern University College of Law. Introduction, alphabetical table of contents, alphabetical list of authors, list of illustrations, note on the text, index.